This feature helped the project win planning permission, despite being outside the City of London’s main skyscraper cluster. 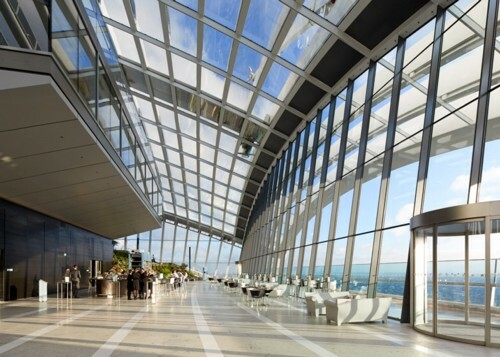 It seems that I am not the only one who believes that new buildings like the Walkie Talkie are good not only because they improve the views by being in the views, but by being a new place to look at the views. And to repeat, I especially like how the Walkie Talkie looks from a distance. The point being: it looks, not just like any old anonymous lump, but like the lump that is the Walkie Talkie. The Walkie Talkie is, just like the Shard and the Gherkin and St Paul’s and Big Ben and the Wheel, recognisable, this being why it needs a special jokey name. That means that it makes me happy whenever I see it. It makes me feel at home. It may not be beautiful exactly (although from nearby I happen to think that it is very beautiful). But neither is the rest of London beautiful exactly, and I think the Walkie Talkie fits right in. LATER: Diamond Geezer is way ahead of me.